One of the most recognizable temples in Thailand is Wat Rung Khun or commonly known to tourists as "the White Temple." 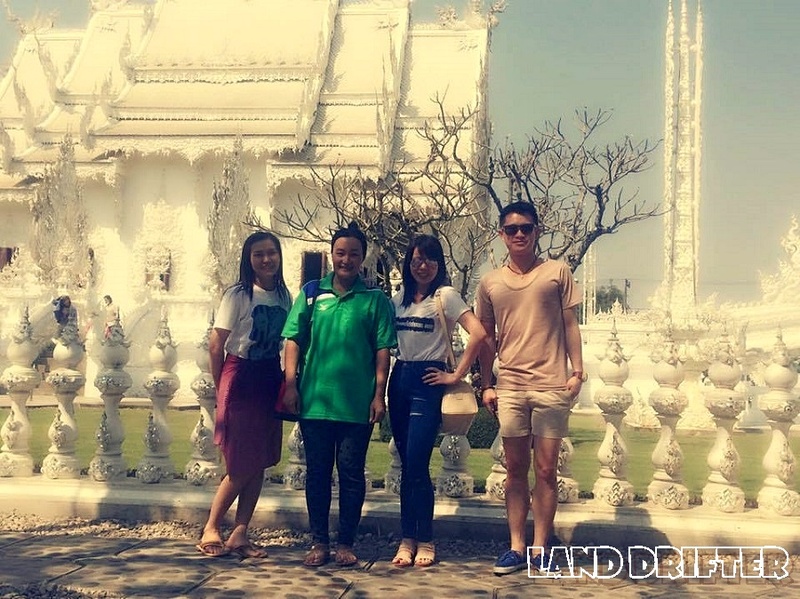 It attracts huge number of tourists both Thai and foreigners and considered to be one of Chiang Rai's most visited attractions. Every detail of Wat Rong Khun carries deep religious symbolism that may shock even Buddhist followers, unless they've studied deeply the mysteries of Buddhism. The temple's color being white represents Lord Buddha's purity while the pieces of glass sparkling under the sun symbolize the Buddha's wisdom shining out across the earth and the universe; even the creepy statues and images outside have meanings as well. Wat Rung Khun was built by Chiang Rai born visual artist Chalermchai Kositpipat as a center of learning and meditation and for people to gain benefit from the Buddhist teachings. Before the end of the 20th century, the temple was in a very bad condition. Chalermchai Kositpipat decided to fund the project using his own money to have the temple restored to its former glory and make it more beautiful in the process. In May 2014, a strong earthquake badly damaged the temple. Thanks to the support of international community who urged Chalermchai to not let the temple crumble. The artist answered the support by rebuilding some of the damaged areas. 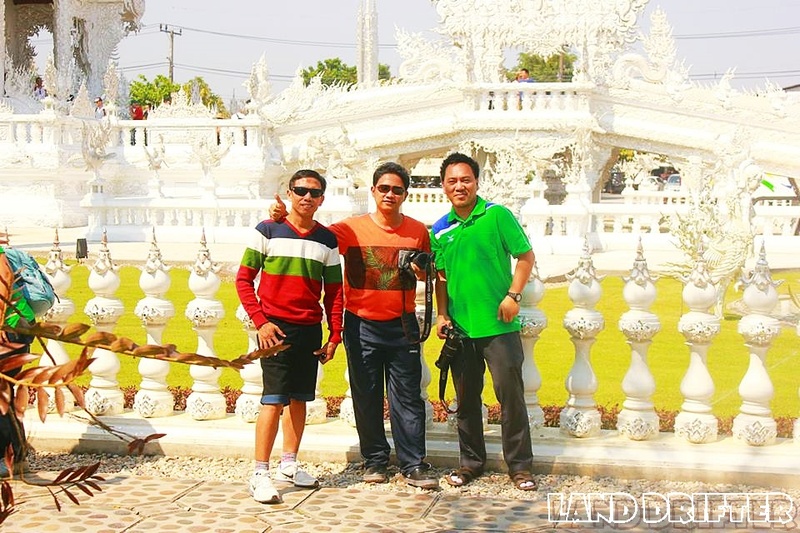 The White Temple is located more or less 14 km outside downtown Chiang Rai. Taxi is the most comfortable mode of transportation. The ride is about 20 minutes and cost between 250 to 300 baht. Using a public bus isn't that difficult either. Busses from platform 7 and 8 leave from the old bus station close to the night bazaar in downtown Chiang Rai. 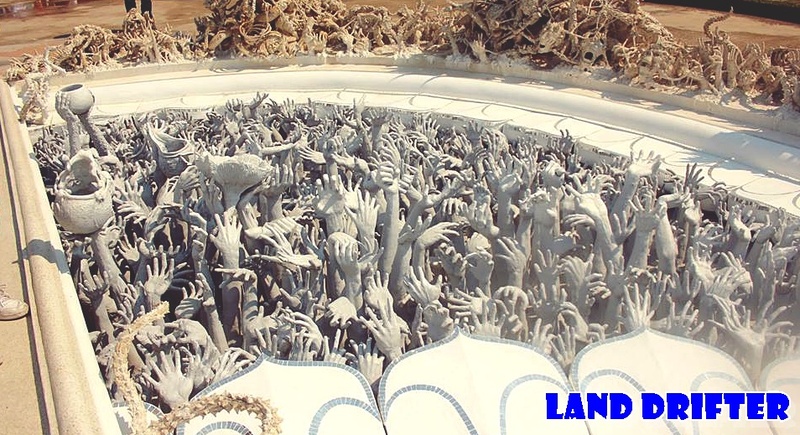 Just simply inform the driver or the conductor to drop you off at Wat Rong Khun. The cost is 20 baht each way. The White Temple opens daily from 8 am to 6 pm. There is no admission fee but donations are welcome. Despite the White Temple's unique appearance it's still a sacred place for worship among Thais. Therefore, dressing appropriately is encouraged. Avoid short skirts or shorts for women, and no tank tops for both genders. Refrain from touching sculptures as well. You can take photos of the things in the temple grounds but doing so within the walls of the temple itself is forbidden.